Authentic, delicious, Greek pasta dish – easy to make and a great meal for entertaining or for every day ! Preheat oven to 350 degrees. Brown onions in a skillet sprayed with Pam. Add turkey and brown. Drain. Add sauce and vinegar and cook for 15 minutes. Melt butter and add milk. Bring to a boil on medium heat stirring constantly then lower heat and simmer for 5 minutes. Remove from heat and stir in yogurt and nutmeg. Add macaroni, salt and pepper and stir. 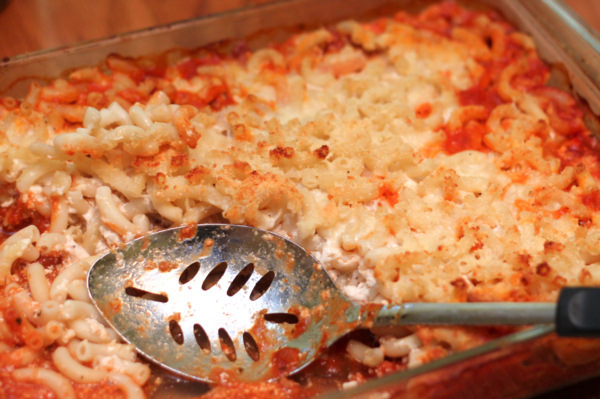 Spread meat sauce into a 13×9 baking dish and top with macaroni. Sprinkle with cheese and bake 50 minutes. Spray a skillet with Pam and heat to medium high. Add veggies and sauté 5 minutes. Add dressing and cheese and continue cooking 5 minutes or until veggies are desired tenderness (I like mine pretty crisp). 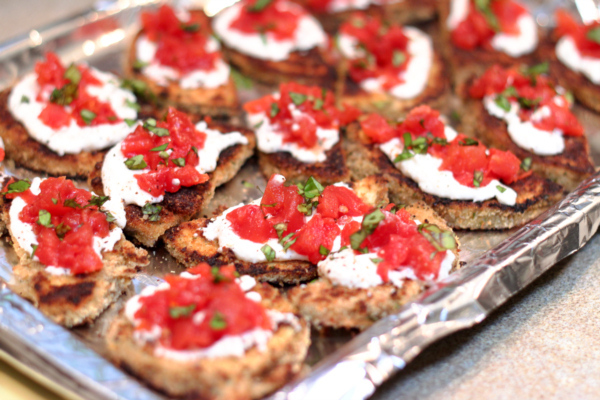 This is a great appetizer – breaded eggplant, ricotta and tomato bruschetta. It’s like an inside out eggplant rollatini with a topping of bruschetta and herbs. Slice the eggplant thinly and lay rounds on paper towels. Sprinkle with salt and let sit ½ so pull out some of the bitterness. Rinse and pat dry. Mix eggs, salt and pepper. Mix breadcrumbs, garlic and cheese. Heat 1 T oil in skillet. Dip eggplant in egg and then crumbs to coat. Work in batches and cook until browned on both sides, about 3 minutes per side. Add extra oil in between batches. Drain on paper towels. Place on a platter and top each round with some ricotta cheese. Mix tomatoes and vinegar and ½ t oil and divide among eggplant rounds. Garnish with chopped basil. There is so much cheesy goodness in this side dish – don’t think of it as pasta with a sprinkling of cheese. It is much more pasta with a gooey, yummy cheese sauce. 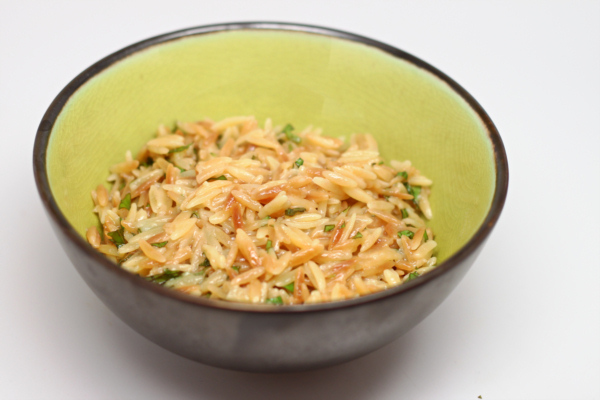 Melt butter in a sauce pan and sauté orzo until lightly browned. Add the broth and bring to a boil then cover and reduce heat to low and cook 15 minutes or until liquid is absorbed. Mix in cheese, basil, salt and pepper. Sometimes ‘simple’ is the best way. And these are certainly simple to prep, yet they taste anything but simple ! Heat oven to 425 degrees. 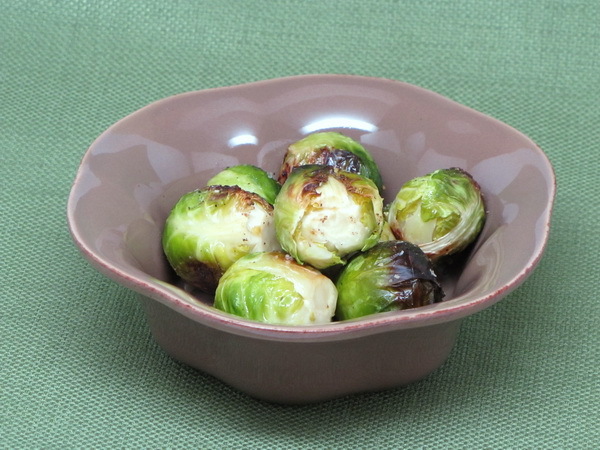 Place Brussel sprouts in a baking dish sprayed with Pam. Drizzle the oil over the sprouts and toss. Sprinkle with salt and pepper and roast 30 minutes or until browned. Remove from oven, sprinkle with cheese and serve immediately. These little cups from heaven are the perfect appetizer ! 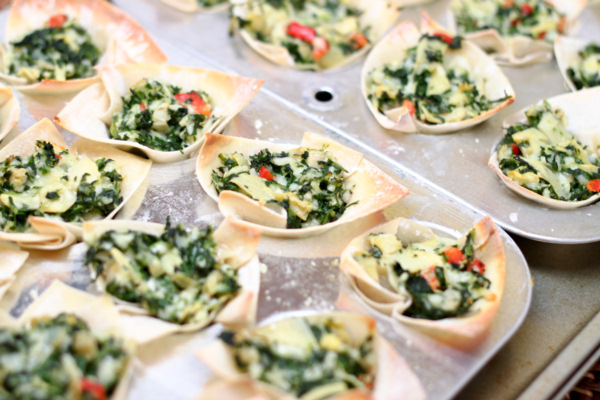 Take a awesome spinach artichoke dip and put it in a little wonton cup and you have a whole new recipe. You don’t need calorie laden dippers to scoop the dip, so you end up with only 60 calories per cup – you just can’t go wrong there !! Preheat oven to 350 degrees. Spray mini muffin pan with Pam and place 1 wrapper in each cup with the edges extending beyond the cut. Place muffin tins on a cookie sheet so you can easily grab them from the oven. Bake 5 minutes then remove from oven. Mix all the rest of the ingredients and fill the cups then bake 15 minutes or until heated through. Velvety. Smooth. Rich. 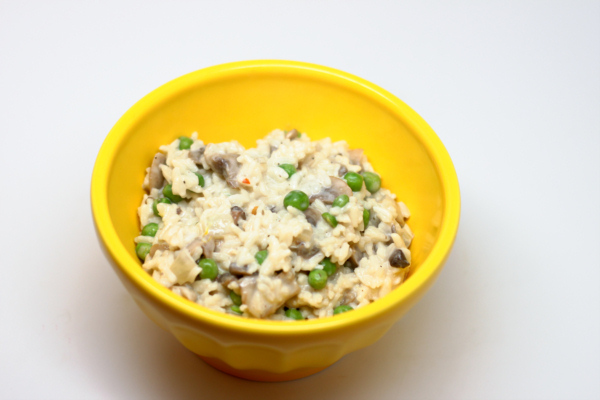 Creamy Rice ! 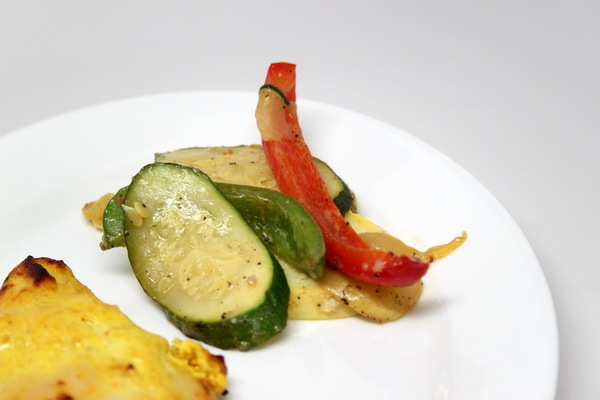 Heat a skillet and add dressing – heat 30 seconds. Then add onions and cook 5 minutes or until tender. Then add mushrooms and cook another 4 minutes or until tender. Add broth and peas and bring to a boil then stir in rice and cream cheese and cover. Remove from heat and let stand for 8 minutes then stir in zest, salt and pepper and parmesan. 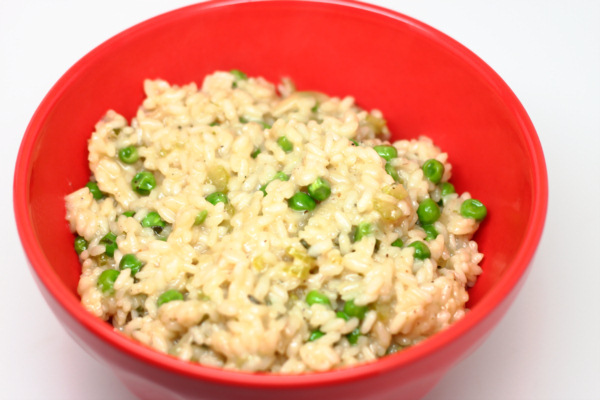 So rich, so creamy, so flavorful – this risotto is perfect next to anything. Place stock and fresh herbs in a soup pot and bring to a boil then reduce heat and keep at a simmer. Saute onion, celery and bacon 5 minutes. Add rice and stir to coat then cook 1 minute. Remove herbs from stock and add 1/2 c of stock to rice mix and stir constantly so stock is absorbed. Add another 1/2 c and cook until stock is absorbed. Then add peas. Continue to add stock 1/2 c at a time and cook until absorbed until rice is tender and the mix is a little thinner than risotto. When done, stir in parsley, butter and parmesan and serve immediately. Combine the first 7 ingredients. Heat 1 t oil. Spoon 1/2 of mix by quarter cupfuls into pan. 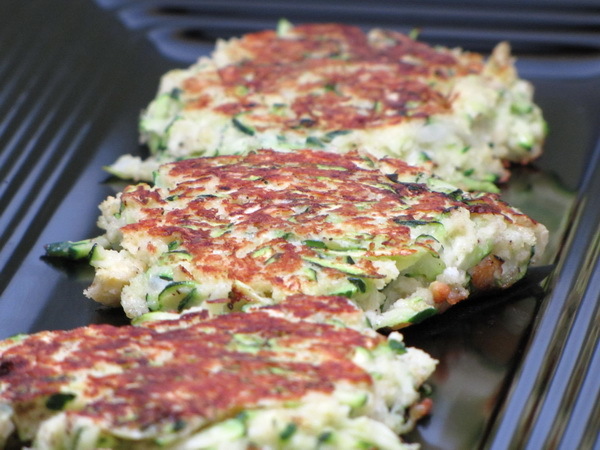 Press down a bit with the back of a spoon to make sure each fritter holds together well. Cook 2 minutes each side. Repeat with the second batch. The layer of pesto mixed with spinach and mushrooms adds an incredible layer of flavor and also bulks up the recipe with more nutrition. This is a FANTASTIC lasagna recipe – lots of cheese, lots of flavor and the perfect comfort food. Place spinach in a glass bowl with 3 T water. Cover with plastic wrap and microwave 3 minutes to wilt. Squeeze it dry in a colander then mix with mushrooms and pesto. Mix mozzarella, provolone, ricotta, ¼ c of parmesan and egg. Mix marinara sauce and tomato sauce with salt, pepper and garlic powder. Spray an oval crock pot with Pam. Place 1 c sauce in the bottom then place 3 noodles on top covering the bottom of the pan. Add 1 c of cheese and 1 c of spinach. 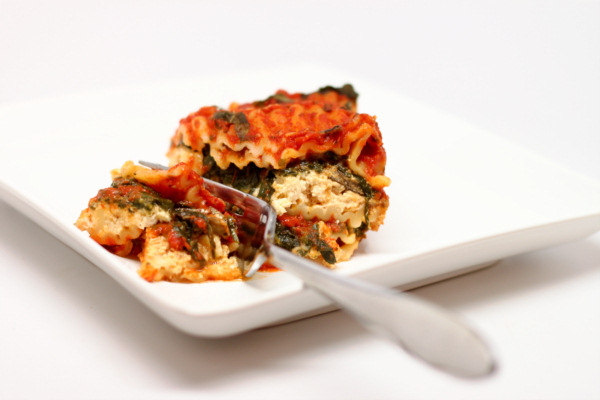 Then start the layers again – – add sauce, noodles, then cheese and spinach. Finally end with a layer of noodles and spread the rest of the sauce over the top. Sprinkle with ½ c of parmesan and basil. Cover and cook on low 5-6 hours.